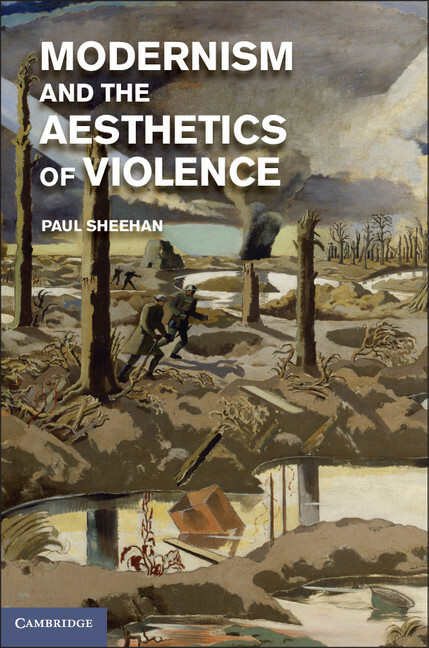 This week, we delve further into the cultural impact of author of the Great War as Paul Sheehan, Modernism and the Aesthetics of Violence, examines pity and pathos in World War I poetry. As a literary genre, war poetry is one of the oldest, dating at least as far back as Homer’s account of the siege of Troy. Yet in most people’s minds, the term “war poets” has a more recent connotation: the poet-soldiers who fought in the First World War, a loose-knit body of writers that includes Wilfred Owen, Siegfried Sassoon, Robert Graves and Edward Thomas. Although these poets had different experiences of the War, the most enduring of their verses – e.g., Owen’s “Anthem for Doomed Youth” and “Dulce et Decorum Est,” Sassoon’s “They” and “Glory of Women” – are driven by a kind of righteous indignation in which soldiers are martyrs, victims of an obdurate military order. This attitude of carefully calibrated moral outrage dominates the war poetry of the last century, and is taken up decades later by the protest songs emerging from Cold War fears of nuclear annihilation and the enormities of the Vietnam War. But although the poetry of the Great War has become a kind of model for angry-yet-sensitive, lyrical dissent, it was not universally admired. W. B. Yeats spoke for the Modernist generation when he declared, in 1936, that “passive suffering is not a theme for poetry.” Yeats was justifying his decision to exclude the most famous of the First World War poets from The Oxford Book of Modern Verse – an anthology that he insisted would not be “a glorification of the second-rate”. Owen’s elegiac introduction to his own works (“My subject is War, and the pity of War. / The Poetry is in the pity”) seems to be emblematic of what Yeats found so objectionable. Rather than endorse passive suffering, the Modernist attitude to the war – at least as voiced by an outspoken group of writers in literary London, in the early 1910s – is conditioned by a rhetoric of violence and belligerence. None of these Modernists emerged from the War unscathed. Hulme and Gaudier-Brzeska both died in the trenches, whilst Lewis and Pound were, by their own admissions, chastened and dispirited. Pound declared as much less than a year after the war’s end. Relocated to Toulouse in France, he learns of the region’s barbaric history, a chronicle of massacres, immolations and vandalisms. “Out of the welter [of history],” he writes, “I get perhaps an increasing hatred of violence, an increasing contempt for destruction.” Unlike literary jousting or critical dissent, actual war and bloodshed destroys culture just as surely as it does people and property. Rhetoric is trumped by reality. But this is not the final word on the subject. The last Modernist to write about the Great War was David Jones, an infantryman for the Royal Welch Fusiliers. Jones fought in Mametz Wood – the first part of the Battle of the Somme – in 1916, and wrote about it twenty years later. The resulting work, In Parenthesis, all but reinvents war poetry, and demonstrates how Modernist poetic techniques can be applied to the realities of combat. T. S. Eliot described Jones’s opus – a prose-poem that brings together myth, song, history and testimony – as a “work of genius.” Indeed, like Eliot’s most celebrated works, In Parenthesis uses unbidden and often unidentified voices to create a kind of remote intimacy. These unsettled utterances are juxtaposed with countless lyrical allusions – to snatches of half-forgotten music hall numbers, folk songs, soldiers’ chants, ceremonial marches and church hymns. They hint at a palpable sense of camaraderie among the soldiers, as if a shared past were being re-inhabited through the medium of popular song. He found him all gone to pieces and not pulling himself together nor making the best of things. When they found him his friends came on him in the secluded fire-bay who miserably wept for the pity of it all and for the things shortly to come to pass and no hills to cover us. Platitudes designed to bolster masculine identity (pull yourself together, try and make the best of it) are emptied of purpose, in the face of the unnamed soldier’s psychic debility. Jones externalizes emotion, staying true to the Modernist avoidance of fustian sentiment. Yet at the same time he demonstrates, pace Yeats, that poetry and pity are not so incompatible after all and, more surprisingly, can even be made to work in a Modernist key.